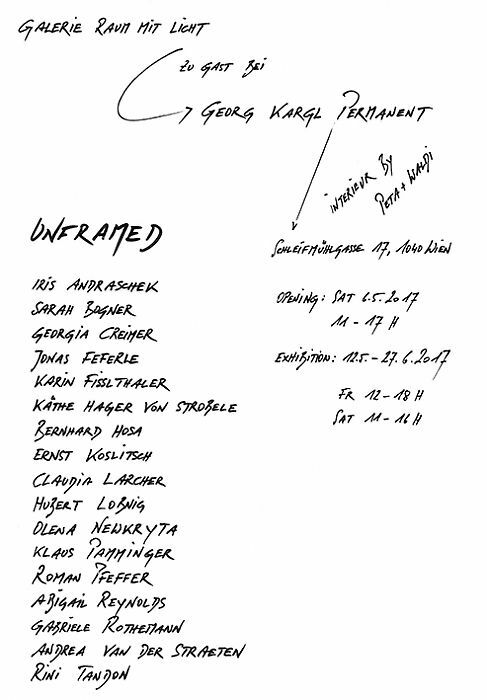 »UNFRAMED« -- Our guest: Galerie "Raum mit Licht"
Our guest: Galerie "Raum mit Licht"
Does the frame really create the distance required to experience an artwork aesthetically — i.e. sensually? Or does it not tend to hamper its reception by excluding the viewer and keeping them at a distance? This is the question UNFRAMED would like to discuss. Works are shown that engage with, in the broadest sense, photographic surfaces. Instead, though, of being held at a distance as is usually the case, visitors here literally come into contact with the artworks — by means of a playful approach to their display. UNFRAMED engages with lifting the dichotomy between the artwork on the one side and the viewer on the other. The aim is to bring the artwork to the body, to break open the frame and to overcome the traditionally prescribed distance. 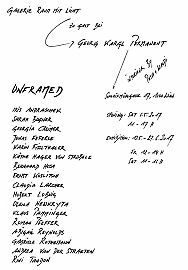 The mechanisms of the market are similarly challenged in UNFRAMED: artworks here can be purchased in the "classical" manner (even at affordable prices), while an Art Swap also provides both visitors and artists with an opportunity to renegotiate their values.